September 7, 2018 - MeetingsNet, a digital magazine and website dedicated to the meetings and incentives industry, has named Omega World Travel to its 2018 CMI 25 list of the largest full-service meeting and incentive travel management companies focused on the U.S. corporate market. “Meetings require a dedication to detail, an opportunity for creativity, and a pursuit of excellence to achieve customer satisfaction. Omega has a strong cross-section of clients from all areas of our economy, including manufacturing, financial, academia, retail, and leisure. Our 46 years in business and global presence positions us well to understand customer needs, provide the tools needed and personnel required to ensure quality experience in all MICE services. I view this part of our company as essential for our continuing growth. It is a people business, and that is what we are good at,” stated Omega World Travel’s President and CEO, Gloria Bohan. Omega World Travel offers comprehensive meetings management services for all aspects of your event, from logistical planning to budget management and reconciliation. We will plan your entire event or any portion that will help support you or your in-house team. Our approach is to create a strategy tailored to each client’s unique goals, then customize each meeting or event to a client’s desired outcome. We strive to create a truly positive event experience that will have a lasting impact. We want your attendees to walk away with a greater connection to your brand, goals, and message. We provide quality choice and value in meetings management. 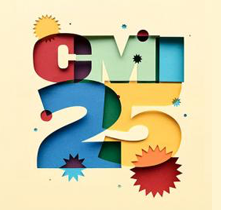 “Omega MICE is very proud to be named to the CMI25 list for our 4th consecutive year! It is truly an honor to be recognized as one of the largest and most influential Meetings and Incentive companies in North America,” said Omega’s Meetings & Events Senior Manager, Joe Margraf.